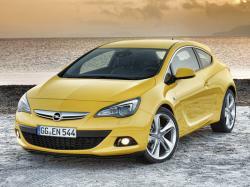 Correct Wheel Sizes, PCD, Offset, Rims and Tire specs for Opel Astra GTC series. .. hole in center of wheel 70mm,. Will Astra GTC wheels fit on a 2015 Antara ?. Will GTC Astra Sri (2014) wheels fit a 2013 Astra 1.6 Energy ? Hi,Seamus,For GTC Astra 2014,it have bolt pattern is 5*115,but 2013 Astra 1.6 have two different bolt pattern(5*105 and 5*115),You can go to homepage check which one your car have.